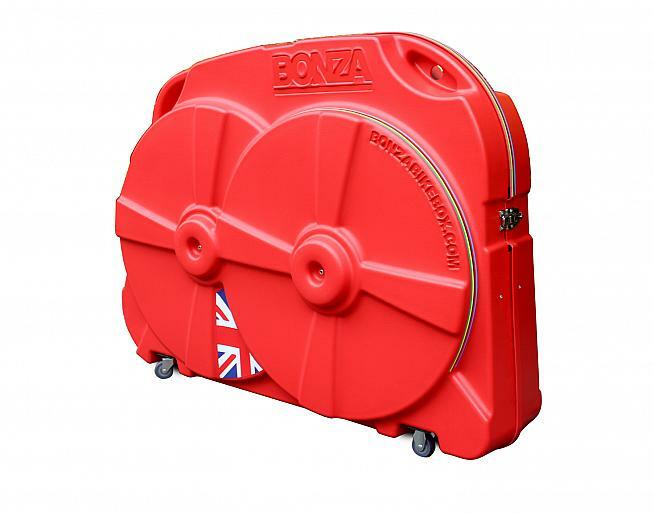 Bonza Bike Box claims to be "the lightest and strongest hard case on the market". With a promise like this, I was feeling pretty confident about packing up my pride and joy, jumping on a plane and heading to sunnier climes for a cycling holiday. The Bonza Bike Box is a strong and lightweight hard case to protect your bike while travelling. The box was delivered to my work, so the first challenge was to get it home. After a not insignificant battle attempting to push the wheels of the box along the pavement, I realised there was in fact a knack to it: stand alongside it and pull it with you from the front. You can thank me later! Once home I opened the box to find step by step instructions, the support struts (to fit inside your wheels), special skewers and foam dividers. Having packed my bike up into a box before, I had all of the extra bits and pieces required; but if it's the first time you've done this, it's worth remembering in good time (i.e. not the night before you go away) that you'll also require a few extra things - a zip lock bag, an allen key, multitool, tape, and as much bubble wrap as you can get your hands on. 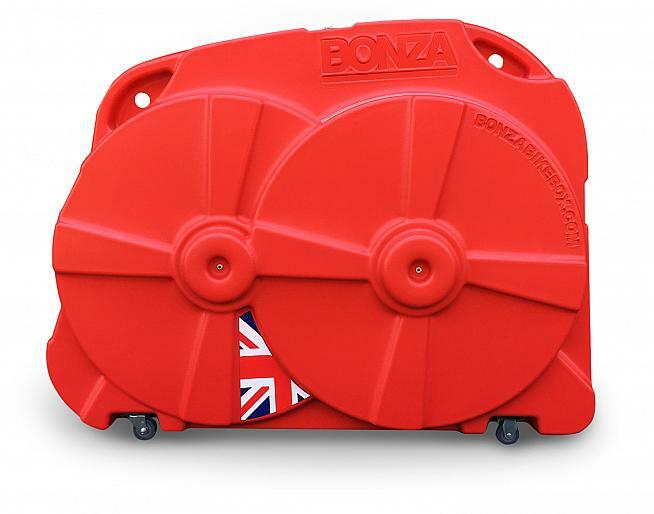 The Bonza Bike Box has velcro straps to hold your frame in place while foam pads help protect from damage. In addition to the written instructions, I checked the bonzabikebox.com website and found a video tutorial by pro triathlete Alice Hector on how to dismantle and pack your bike. 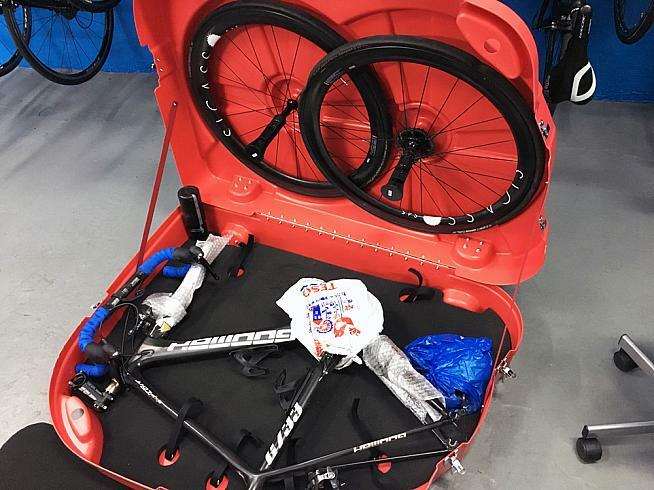 It's a really useful aid, especially if you're new to packing bikes, and while Alice demonstrates using her time trial bike the basic procedure is the same whatever type of bike you have. While Alice manages to pack her bike in 3 minutes 42 seconds, I found my first attempt took a little longer - it's a classic case of "easy when you know how". Packing the box before my holiday took me a good hour and a half of unscrewing various parts of the bike, switching them around, attempting to shut the box without the support struts sitting on the frame, and making sure nothing was too close to the edges. Provided skewers let you fix your wheels to the side of the box preventing movement in transit. Note: I was packing a 54cm frame which, as you can see from the picture, was a snug fit but easily manageable. Once everything was packed both frame and wheels felt secure and well protected. The Velcro straps inside the box are secure and strong and situated in just the right places to fasten your bike well to the box. There are also a few extra straps so you can tie down other bits and pieces you want to take on your trip, which can hopefully prevent you having to take additional hold luggage. When I had arranged everything suitably and padded the frame out with towels, bubble wrap, carrier bags etc, I closed the box and attached a few thin cable ties on each of the five clasps. The max weight for the box is 32kg, which I should imagine would be quite hard to exceed. The box felt pretty invincible. Invincible? Don't tempt the baggage handlers. One concern I had was over the lack of a supports to sit inside the front fork, as this is often the first thing to get crushed when flying with your bike. 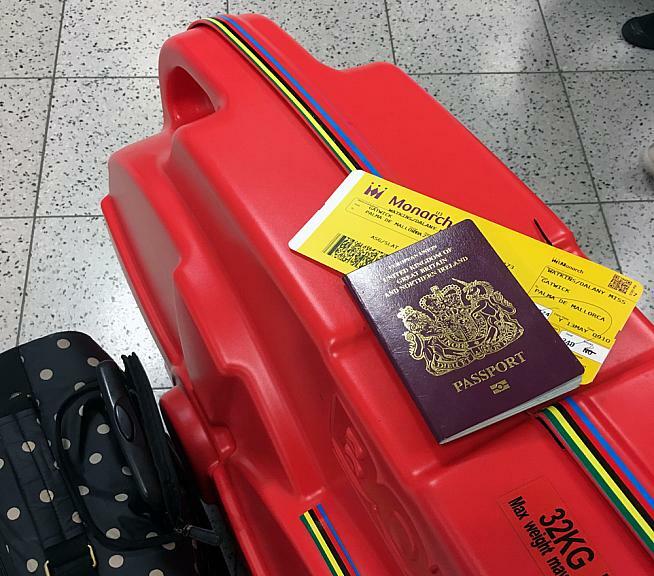 But I'm pleased to report that the Bonza Bike Box did its job: there was absolutely no damage to the bike on either the outbound or the return journey to Mallorca. I opened the box to find nothing had moved around during the flight and no scratches had appeared...always quite an unnerving moment, but in this case the Bonza Bike Box passed with flying colours! When it came to repacking my bike after the holiday, the whole process took just 20 minutes; I'm still some way off Alice's record, but definitely an improvement. Just remember, if it's the first time you're packing a box, to give yourself a little extra time before you set off on your holiday. At 12kg the Bonza Bike Box is not, despite the claims, the lightest bike box on the market - but it's certainly light enough that airline baggage allowances won't be a concern, even if you pack in a few extra items around the bike. Bonza also say the dimensions of 124 x 94 x 34 cm conform to "all the major airline baggage requirements". Verdict: The Bonza Bike Box is a strong, sturdy and reliable box that I would feel very confident using again and again for future trips. Adopt a patient manner, give your bike plenty of TLC before you close the lid, and you can sit back with a glass of "Easyjet special" wine in hand to enjoy your flight.